HUAWEI CLOUD Stack, Huawei's full-stack hybrid cloud solution, builds high-performance IT infrastructure by leveraging expertise from in-house chip design to hardware optimization, such as Atlas server, Dorado all-flash storage, KunLun mission critical server, and ARM server. With these, Huawei is able to build resource pools that outperform those consisting of general-purpose hardware. On top of an open architecture, HUAWEI CLOUD Stack offers 69 best-in-class cloud services to cloud scenarios of various industries. In addition, HUAWEI CLOUD Stack supports a hybrid architecture that can include public clouds like HUAWEI CLOUD, AWS, and Azure, allowing seamless deployment and migration of customer workloads from a wide range of industries across cloud platforms to hybrid clouds, meeting service demands of today, and tomorrow. Multiple types of applications moving to the cloud: Provides cloud migration capabilities for traditional services, data services, and innovative services in various industry scenarios. Smooth architecture evolution: Handles services in multiple ways, such as virtualization, private cloud, public cloud, local cloud, and hybrid cloud. HCS provides standardized OpenStack APIs. Huawei works with 300+ ISVs to develop the industryspecific solutions customers need while championing construction of open cloud ecosystems. Build an industry cloud migration competency center, covering more than 1000 mainstream applications in domains such as carrier, public city, government and finance. Full-lifecycle services offers consulting, evaluation, migration, optimization, and O&M for IaaS, PaaS, and DaaS services, and supports continuous evolution planning and design capabilities. Reliable engineering ability, more than 5000 best practice cases. 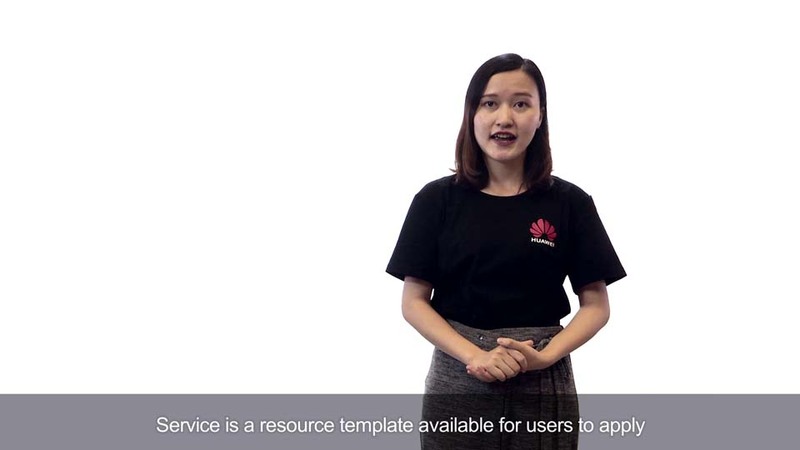 Huawei CLOUD Stack full-stack hybrid cloud solution consists of the following parts: FusionSphere Virtualization layer, FusionSphere OpenStack cloud platform layer, service components offering different capabilities as the cloud service layer, ManageOne unified management layer, FusionBridge connecting to the public cloud to implement hybrid cloud deployment and the cloud data center that provides customers with service awareness, business intelligence, unified management, and unified services. 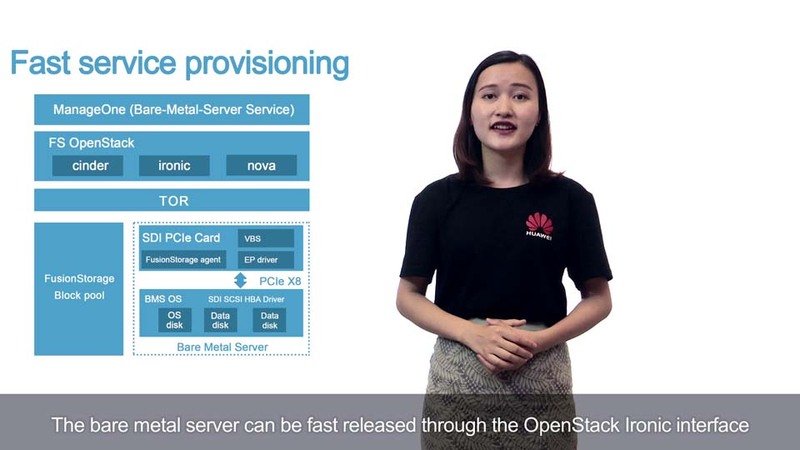 FusionSphere OpenStack is Huawei’s commercial OpenStack release with a built-in Huawei KVM virtualization engine based on open-source OpenStack. It incorporates enterprise-level enhancements to its computing, storage, network management, installation and maintenance, security, and reliability. 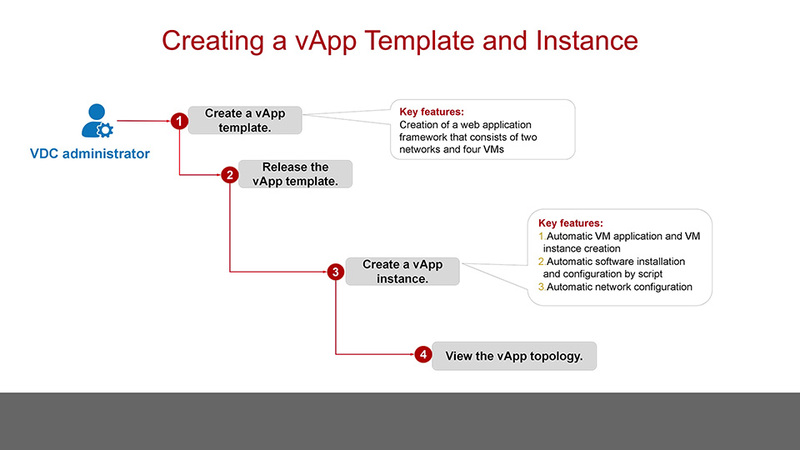 This solution is the optimal commercial OpenStack choice for enterprise Hybrid Cloud, carrier NFV, and public cloud service providers. The ManageOne solution provides a unified Data Center (DC) management platform and supports agile operation and simplified O&M. The solution offers reliable service quality assurance and distributed cloud DC coordination. ManageOne has the following features: - DCs are physically distributed and logically centralized. 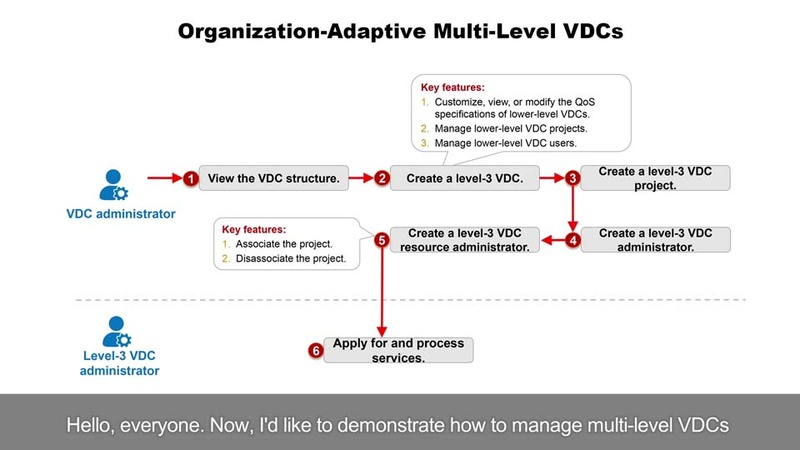 - Centrally managed multiple DCs, heterogeneous virtualization platforms, and O&M activities. Based on the Virtual Data Center (VDC) mode, a data center can be used to provide different resource services for different departments and services, allowing for separation of resource construction and usage, while matching enterprise and carrier management modes. Huawei’s hybrid cloud solution, FusionBridge, supports eight unified services and provides standard OpenStack APIs. 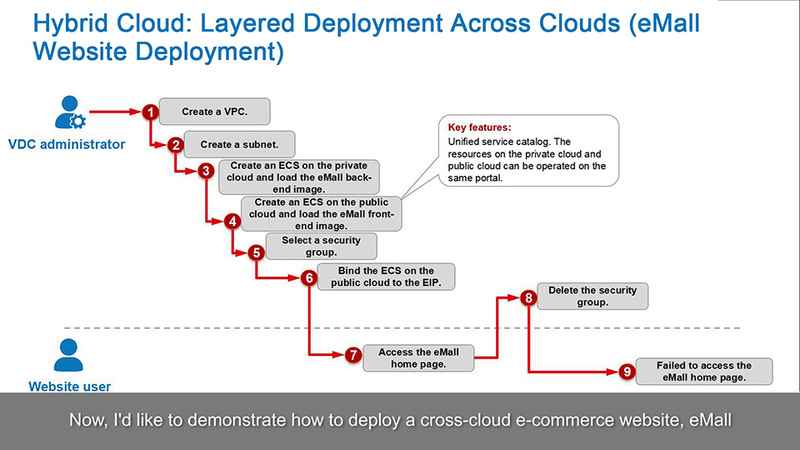 It enables automatic cross-cloud network connection while providing uniform images, resource view, and service catalog. This solution helps enterprises readily deploy services across clouds, shortens deployment time, and facilitates cross-platform operations and O&M. A converged resource pool is crucial for most enterprises in cloud-based construction. The new cloud resource pool is smoothly interconnected with the existing IT infrastructure. With the smooth interconnection, the existing VMware heterogeneous resource pool and mainstream hardware are managed in a unified manner, achieving unified service and resource provisioning and unified maintenance and monitoring. In addition, the smooth interconnection enables unified management and hierarchical and regional logical division. This meets requirements of multiple organizations and different service systems of enterprises and carriers, and implements IT infrastructure convergence. Based on the advantages of network and local services, carriers, industry leaders, or ISP cloud service providers can build a public cloud operation platform based on the full stack cloud service capability and provide cloud service resources that adapt to different industry scenarios for end customers (such as government and enterprise customers and industry customers) through offline operations. HUAWEI CLOUD Stack Full-Stack hybrid cloud solution focuses on key industries, such as public security, carrier, government, and finance to develop Hybrid Cloud markets. Based on the Hybrid Cloud, the FusionBridge hybrid cloud solution diverts services from the Hybrid Cloud to the public cloud to implement hybrid cloud deployment.